There is never a day off in the world of NBA. There is always something going on and before the new season of the NBA kicks off. We have so much to share with you guys. The 73rd season of the league is about to start and all the times are gearing up for the upcoming season. Well, from killer offseason to the trades to the free agent signings the upcoming NBA season is already making headlines. With the NBA’s season right around the corner let’s have a look at different teams and the kicking off of the upcoming season. I believe this is that time of the year when all the fans are eagerly waiting for their team to perform brilliantly. However, there are still some questions left unanswered and also all the teams working hard to make an excellent combination for the upcoming season. 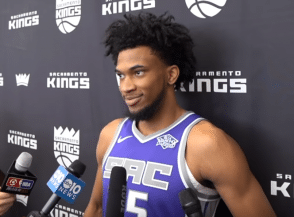 Atlanta Hawks – Will Trae Young Make A Difference? So before the NBA season kicks off, Atlanta Hawks will have to answer this question. Earlier it was pointed out by Travis Schlenk that the Hawks will trade the best player in the 2018 Draft Luka Doncic for Trae Young and eventually that happened. However, making the combination of Trae Young with rest of the team players was a tough job. Team staff had several options in mind, but now they have decided to use him as the point guard, and they experimented it in their match against the New Orleans. Trae Young played his part in their winning performance against the New Orleans. That ultimately has given more confidence to the team management. Well, the Golden State Warriors are going from strength to strength. They are in no mood of slowing and just like last year, and they are one team apart from the rest. Their previous season record was exceptional with 58-24 and getting the No.2 seed in the Western Conference. Their performance and stats will only get better in the upcoming season as they are stronger than before now. They have added some powerful players in their side in the form of DeMarcus Cousins and Jonas Jerebko. The Golden State Warriors is no doubt the best team in the NBA. They have proven that over and over again and the gap between the Warriors and rest of the teams has grown now with the inclusion of DeMarcus Cousins. So, the question is will they be able to threepeat? Well, there are only three franchises so far who have threepeated which are Lakers, Celtics, and Bulls. Warriors would have done that if Draymond Green was there. If you look at their players, then the Warriors have some powerful and young players in their side. The oldest players from their all-star core are Stephen Curry and Kevin Durant. So, as per the prediction, the Warriors will threepeat this year, and then next year they will become a solid candidate to join the Celtics in the club of Fourpeat next year. Everyone knows that Stephen Curry is their most valuable asset and he needs to be fit for the upcoming season. His performance and contribution to the Warriors are immense, and the Warriors need him to be healthy and super fit. As per Robin Lundberg, the Warriors have an offensive rating of 120.4 with Curry on the court (would comfortably be an NBA record) and 106.2 without him (mainly the Charlotte Hornets). Steph is easily their best and most important player. Now the addition of DeMarcus Cousins has given a boost to the Warriors side. Their offensive game was solid last year but this time around the Warriors have taken their offensive game to the next level. I don’t think anyone come close to beat them this year. Houston Rockets only managed to come closer and almost managed to break their offense last year. However, now with DeMarcus Cousins in the side, this seems an even more difficult task. He is coming back from an injury still he will make a difference to the offensive game of the Warriors and will help them win their third title. Will LeBron James Be Able To Guide Lakers To Success? Now the next thing that is striking my mind is the responsibility that LeBron James carries over his shoulder. Well, LeBron James is no doubt the leading player for the Los Angeles Lakers and this is his third franchise. He will have to bring his A game forward if he wants to make his team win in the season. If you recall his performances, then James has been in the final with his last two teams for eight times (four in Miami and four in Cleveland). At one time, he had the services of Kyrie Irving who is one of the best point guards of the game. The reason for the success of Cavaliers was the deadly combination of James and Irving. However, I think he is going to get the same support here as well because of Lonzo Ball, Rajon Rondo and Ingram in the side. To mention there is no comparison between Irving and Lonzo Ball or Rajon Rando. Here is what was on an NBA official site about the comparison. Irving has shot better than 40 percent on 3s in three of his last four pro seasons. Ball shot 30.5 percent behind the arc as a rookie; Rondo has never come close to 40 percent on 3s, though he did get up to 37 percent in 2016-17 while in Chicago. Though, his first preseason game with the Lakers was excellent. LeBron James looked good, and he enjoyed his presence in Los Angeles and also loved the way Ingram played. James went on to said “I find a rhythm with anybody who’s very energetic offensively, and that’s a guy who moves without the ball,” James said of Ingram. Well, we cannot ignore the Phoenix Suns for this year because their last season was a miserable one and they will have to do better this time around. Everyone must be thinking about how they are going to perform, and it seems that this time around they will play well. Last season, their overall record was worst in league with 21-61. However, this season they have added some outstanding players in their side in the form of Ryan Anderson, Mikal Bridges, Elie Okobo, Deandre Ayton and Trevor Ariza. There are several problems that they will have to deal with before the actual season starts. The fans of Phoenix Suns have always wanted Dragan Bender to be the best player, but so far after the 2018-2019 opening night of five-game slate for the Suns, he has failed to deliver the goods. I believe now is the time for the Suns to realize that he will develop into a player worthy of the fourth overall pick. In the preseason game of NBA, his performance was the lowest, and he finished with -17 with less than three airballs. His performance in the opening game reflects where his career is going, and I think that now is the time to admit the fact that Dragan Bender is not the player that the Phoenix Suns and their fans wished for. Cleveland Cavaliers started their campaign with a win over Boston Celtics. After all the planning and hard work they did in the training camp is giving something back now. I hope that they will make a difference this season and they do have a powerful side that can challenge any opposition on a given day. Kevin Love has a new role in the, and he has been performing his role ever so gracefully. Kevin Love performed well in the opening night game, and he scored 17 points in the inaugural game. This team now belongs to Kevin Love now, and he has a massive responsibility for his shoulders now. He is the hub of the offense, and he is the main option for scoring points in the upcoming games. Now that there is no LeBron James in the side all main tasks rest on his shoulders now as he is the leader of the pack now. The Cleveland Cavaliers are now showing off the faster pace Tyronn Lue has been stressing and this is a really good sign for the Cavaliers. Though the real challenge lies ahead for the Cavaliers but they are working well as a unit. Kevin Love along with his other teammates will have numerous challenges to face in the upcoming season, and their stats and team combination suggests that they are going to make a difference in the upcoming season of the NBA. Here is what Kevin has to say “It’s a great responsibility, but I think it’s helping me and saying to myself that every day I have to bring it,” Love said following the win.” The big thing we talked about the last four years was as long as we play extremely hard and bring it every day we’re going to give ourselves a chance. This team, we have to do a little bit extra, do all the little things, but we have the guys in the locker room to be able to do that. Well, if we see so far, the Warriors just like last year have an upper hand, and they are the hot favorites to win the title. They have a really strong side and more powerful offense than last year. They will use every trick in their box to win the title for third time in a row. 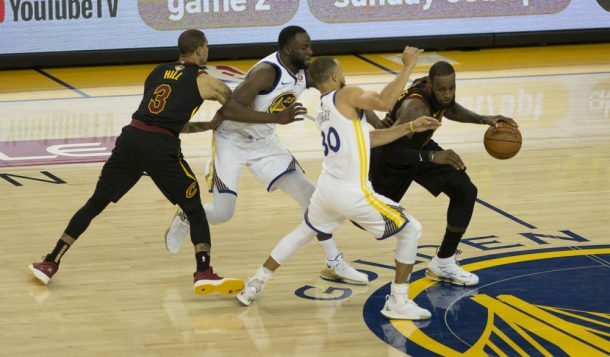 On the other hand, LeBron James and Kevin Love have high responsibilities over their shoulders, and they are responsible for their team’s success in the 2018-2019 season of NBA. The Phoenix Suns will have to make some changes to their squad as well before the real game starts and the Washington Wizards will be hoping to take their game to the next level after the valuable additions of Troy Brown Jr. (Draft) Thomas Bryant (Free Agency) Jeff Green (Free Agency) Dwight Howard (Free Agency) Austin Rivers (Trade) in the side. So, the bottom line is the next season of NBA is going to be bigger and better. There will be more drama, more emotions, and more excitement. The fans are going to see some unbelievable plays and this year you are going to see some of the best NBA game’s in the upcoming season. Furthermore, let us know your views about the upcoming season in the comment section as well.